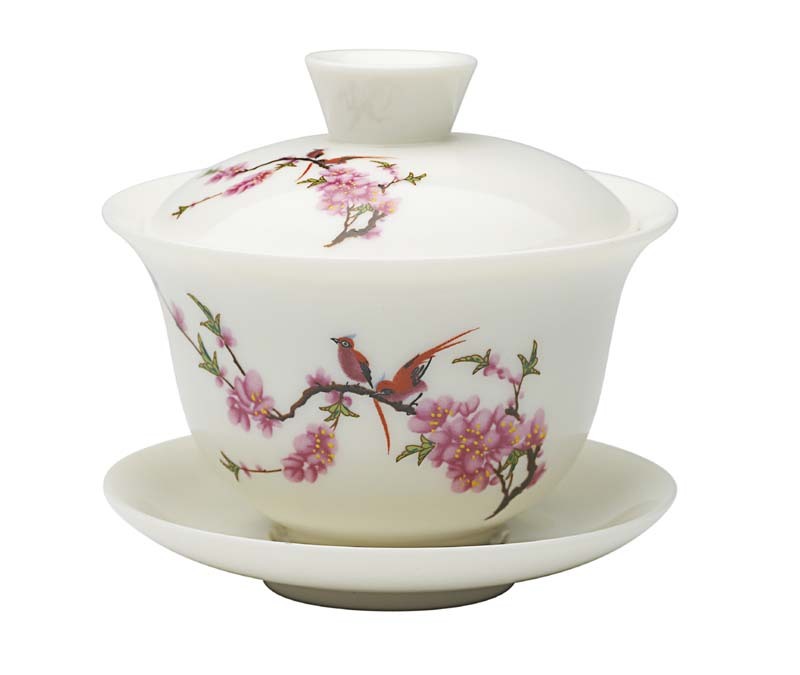 This porcelain Gaiwan has a picture with birds sitting on the peach blossom tree. In Chinese culture this symbolizes both good fortune and beauty. 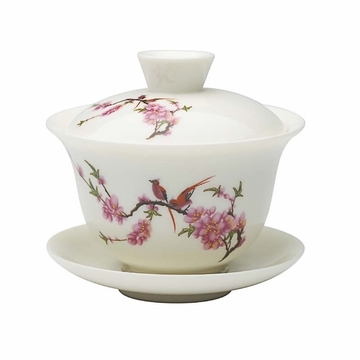 Gaiwan was originated in the Ming Dynasty and became popular during the Ching Dynasty in China. This bowl is large enough to accommodate tea brewing, yet small enough to be held comfortably for drinking. The saucer allows you to hold a cup of hot tea. The cup allows you to brew and drink tea. The lid allows you to push aside floating tea leaves on the surface of the cup for easy tea enjoyment. Received this in the mail yesterday afternoon. This gaiwan is absolutely gorgeous!! I am purchasing two more as gifts.